Adventurer! 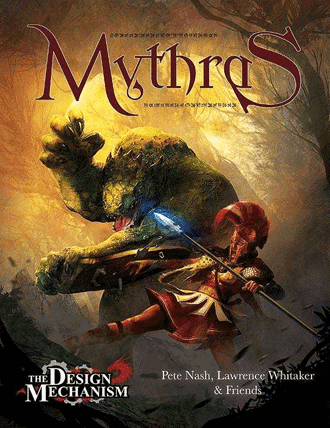 The Design Mechanics return with this all-new Mythras Bundle featuring Mythras, the acclaimed new version of one of the greatest fantasy tabletop roleplaying games ever published, RuneQuest. Formerly titled RuneQuest 6 (and presented in our February 2014 RQ6 Bundle), this authoritative edition of the classic skill-based percentile system, by Lawrence Whitaker and Pete Nash of The Design Mechanism, enjoys a wide range of supplements and adventures featuring swords and sorcery, history and myth, science fiction and urban horror. This bargain-priced collection gives you everything you need for a complete campaign of classic dungeon-crawling fantasy or mythic history. The Stalwart Revivalists, rising ever higher in level, bring you a great new Old School Revival Bundle +5, our fifth annual celebration of the Old School Revival and the spirit of tabletop roleplaying's earliest days. 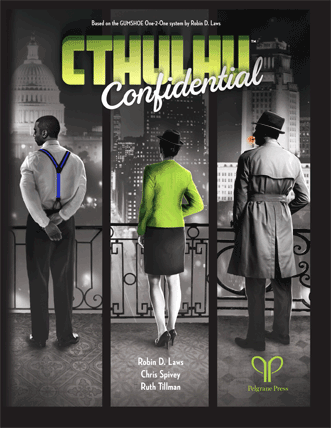 This year's collection presents Index Card RPG, Dragon Kings, dungeons by Dyson Logos, books by Kevin Crawford -- well, see for yourself. The Order of Truth's Aeon Priests have resurrected our May 2014 Numenera Bundle, featuring the tabletop science-fantasy roleplaying game Numenera from Monte Cook Games. A billion years in the future, explore the Ninth World to find leftover artifacts of nanotechnology, the datasphere, bio-engineered creatures, and myriad strange devices that defy understanding. The inspiration for the recent Torment: Tides of Numenera computer game from inXile Entertainment, Numenera is about discovering the wonders of eight previous worlds to improve the present and build a future. Freelancer! From the distant future the Factions bring you our Mutant Chronicles Bundle featuring the 2015 Third Edition of Mutant Chronicles, the dieselpunk techno-fantasy RPG of future darkness from Modiphius Entertainment. With its fast-playing, cinematic "2d20" system designed by Jay Little (Star Wars: Edge of the Empire), Mutant Chronicles 3E is a thrill ride across a Solar System beset by megacorporate intrigue and the invasion of a terrible alien force. Along with Kickstarter spectaculars like OVA and the fantastically inventive Tenra Bansho Zero, this collection brings you treasures ranging from the recent Blade Bind and Kagegami High to the R. Talsorian Games classic Teenagers From Outer Space. In this fast-playing, low-prep March 2015 Kickstarter triumph, desperate heroes battle strange magic, unhinged cultists, and roaming mobs of undead while humanity's last great empire slides toward oblivion. If you love Warhammer Fantasy Roleplay, the Ravenloft and Midnight settings, Joe Abercrombie's The First Law novels, or heavy metal music, get this bargain-priced collection of DRM-free .PDF ebooks and confront the Void That Hungers.